STAMFORD, Conn., February 13, 2019	(Newswire.com) - Newsletter publisher Bottom Line Inc. announced the redesign and expanded offerings of its flagship health publication, Bottom Line Health. The company has been providing consumers with actionable advice from leading mainstream and natural health practitioners in its traditional, no-nonsense newsletter format since 1986. The new design, which launches with the March issue, responds to today’s more visual and time-pressed readers by providing a more open and reader-friendly layout, graphics that help tell each story and additional subscriber-only online content that complements the print articles, providing extra value for each paid subscription. “Our prior design was very effective at helping people know that we mean serious business when we report on the latest health breakthroughs. We could come across as a little intimidating when there are so many dangers lurking in our medicine cabinets, hospitals and toxic environment. The goal of the new design is to retain the strength of our message but make it more accessible to a public that likes infotainment,” said Chief Creative Officer Brian Wittman, who conceptualized the new design of Bottom Line Health. Bottom Line Health Editor Rebecca Shannonhouse is developing a lineup of stories for future issues that continues to feature leading experts in their fields, including Michael F. Roizen, MD, Cleveland Clinic, on the importance of timing your meals to improve your health…Joseph E. Pizzorno, ND, leading naturopathic physician, on protecting yourself from the many toxins in your daily environment…and Husam H. Balkhy, MD, University of Chicago Medicine, on robotic heart surgery. 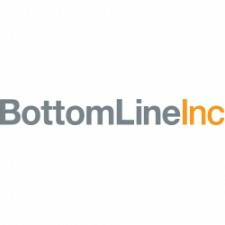 Bottom Line Inc., based in Stamford, CT, is the privately held publisher of Bottom Line newsletters, books and multimedia content, including Bottom Line Personal, the largest-circulation consumer newsletter, Bottom Line Health and Bottom Line Books, one of the largest direct-to-consumer book publishers. Bottom Line’s content style is uniquely brief, action-oriented and trustworthy due to our editorial process and on-staff research editors. Bottom Line reaches millions of people each year with its books, newsletters and digital content. For more information, visit BottomLineInc.com.